China Fortune Land Development Co., Ltd (CFLD) (600340.SH) on August 28 announced its business results for the first half of 2018. The company generated a strong operating income of 34.974 billion yuan, an increase of 57.13 percent year-on-year. During the reporting period, the company achieved sales of 80.504 billion yuan, a year-on-year increase of 15.63 percent. The net profit attributable to shareholders of listed companies was 6.927 billion yuan, a year-on-year increase of 29.05 percent. As of the end of June 2018, the deposits received by the company were 143.315 billion yuan. During the first half of 2018, Fortune Global 500 companies such as Faurecia (Shenyang) Automotive Systems Co., Ltd., and other large-scale leading enterprises including Mianyang Brilliance Ruian Automative Components Co., Ltd., Shenyang Changjiangyuan Technology Development Co., Ltd., BRAND FIELD LIMITED, Shanghai Shangfu Plastics Co., Ltd., Hangzhou Hengli Manufacturing Technology Co., Ltd., have signed contracts to set up operations in CFLD's industry new cities. In the first half of 2018, a total of 445 companies had agreed with CFLD to station in its new industry cities, with the newly penned investments amounting to 96.56 billion, an increase of 101 percent and 32 percent respectively over the same period last year. The main business revenues generated outside the greater Beijing region accounted for 38.63 percent, an increase of 25 percent over the same period last year. 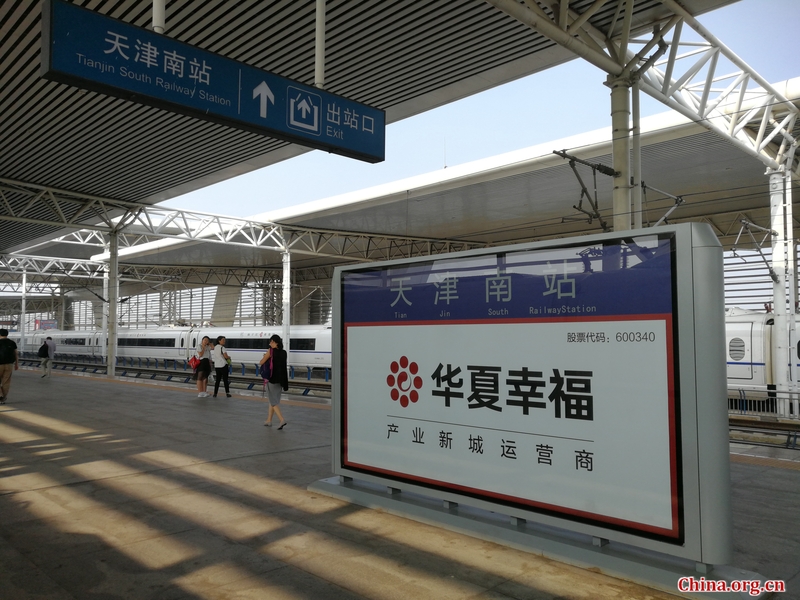 There were 288 newly-entered enterprises in the non-Beijing-Tianjin-Hebei region, accounting for 64.72 percent of the total; the newly signed investment amounted to 74.50 billion yuan, accounting for 77.15 percent of the total. The company also signed with Hubei Bank Co., Ltd. and China CITIC Bank Co., Ltd. the Comprehensive Strategic Cooperation Agreement. Data shows that the group credits obtained by the company's merger in the first half of 2018 totaled 356.5 billion yuan, of which the credit line used was about 63.268 billion yuan. About China Fortune Land Development Co., Ltd. Founded in 1998, China Fortune Land Development Co., Ltd (CFLD) (Stock Code: 600340SH) is a leading New Industry City operator in China. CFLD is devoted to creating a sustainable regional development and transforming and advancing industry. Through a focus on innovation and leveraging a market-based PPP operation model, CFLD develops New Industry Cities with highly-assimilated industries, well-equipped urban functions, and an eco-friendly environment, industry towns with industrial characteristics, as well as a green and livable environment. In partnership with regional governments, CFLD develops integrated solutions that bring together innovative industry clusters that drive economic growth with cities and urban facilities that enhance quality of life. As of the end of 2017, the business map of CFLD's New Industry City covers more than 80 areas including the Beijing-Tianjin-Hebei area, the Yangtze River Economic Belt, the Guangdong-Hong Kong-Macao Greater Bay Area. ​China Fortune Land Development Co., Ltd (CFLD) (600340.SH) on August 28 announced its business results for the first half of 2018. The company generated a strong operating income of 34.974 billion yuan, an increase of 57.13 percent year-on-year.